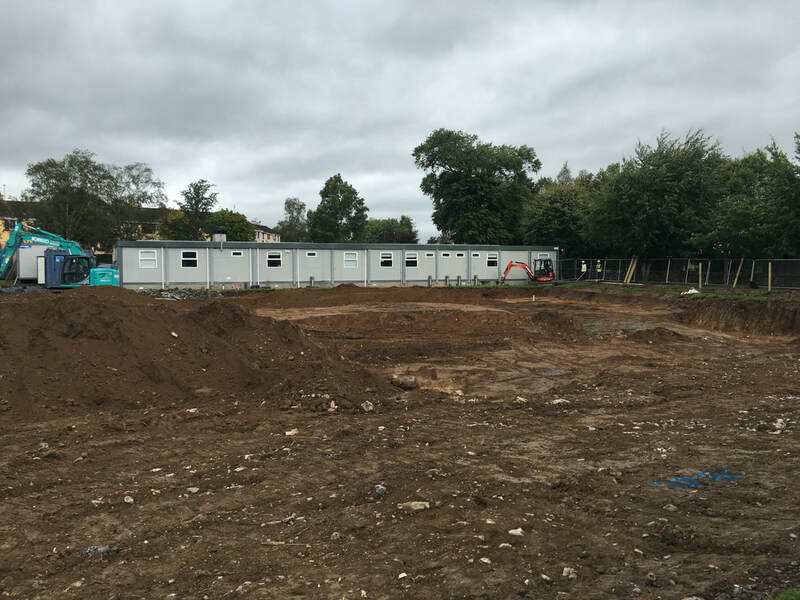 ​On Tuesday 8th August 2017 Coolsivna Construction Group Ltd. commenced construction of the new 24 classroom school with SNU. Work on site is progressing well and the foundations are scheduled to be poured soon. Site offices and other accommodation has arrived. 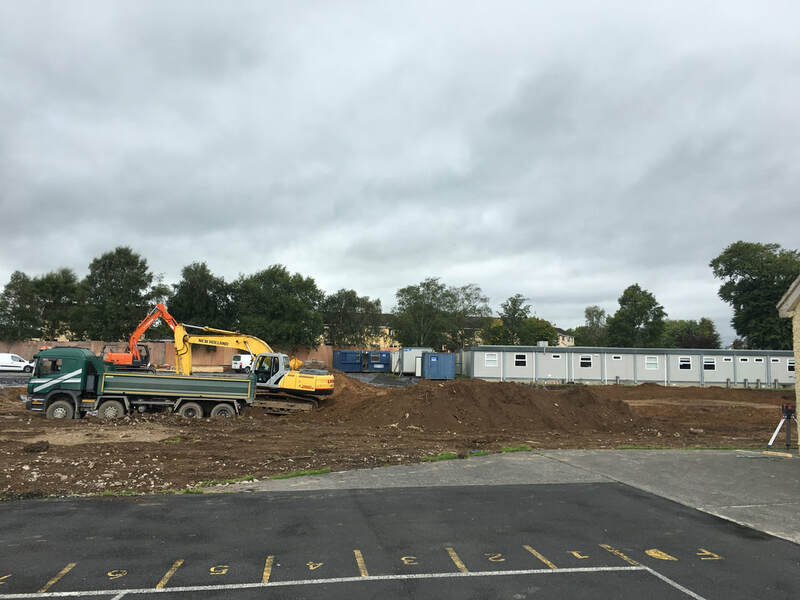 The first phase of the works will also involve the demolition of two existing classrooms and school hall. 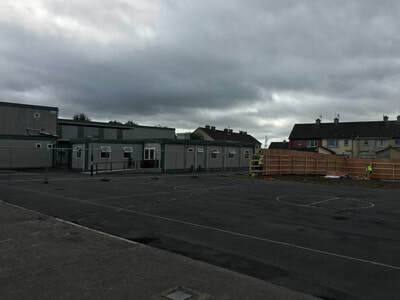 As a result, two replacement temporary classrooms are being installed on the grounds of the Sixmilebridge GAA club at Cappa Lodge to accommodate 6th class. We are delighted to report that Coolsivna Construction Group Ltd. has been selected as the Building Contractor for the new school. Construction is set to begin during the summer holidays. 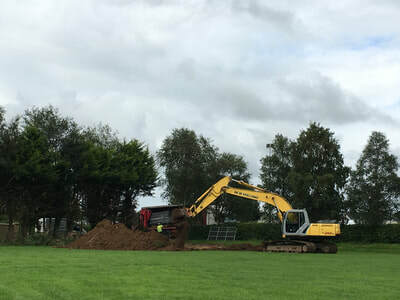 ​The school has received confirmation this morning that the Building Project is proceeding to Stage 3: Tender Action. This is the last stage before the commencement of construction. The short-listed building contractors will be required to submit their tenders in the coming weeks before the successful contractor is appointed and works can begin. Today the 5-Year Building Programme (2016-2020) has been announced by the Minister for Education & Skills, Jan O' Sullivan. 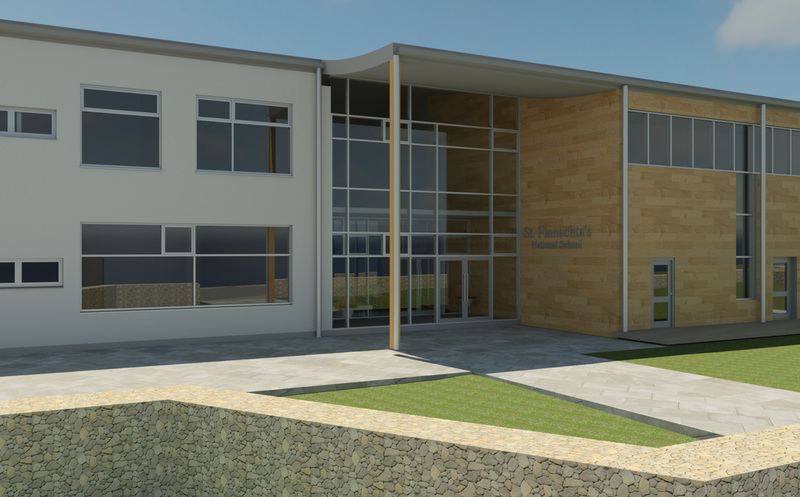 St. Finnachta's NS has been included in the schools that will proceed to construction in 2016. We are delighted with the great news and look forward to getting the project on site as early in 2016 as possible. Approval has been granted by the Department for the project to move from Stage 2A to Stage 2B: Detailed Design. Once the remaining statutory requirements such as Fire Safety Certificate (FSC) and Disability Access Certificate (DAC) have been granted by the County Council the Design Team will set about ensuring that the project is fully designed and detailed before going to tender, and that all the information necessary to complete the construction is included in the Tender Documents. 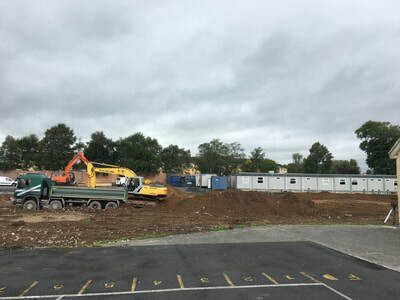 Plans are underway to manage the re-location of some classrooms, if required, during the construction phase. The relevant statutory requirements, such as planning permission for these prefabs, are being secured at present. ​The school has received notification from Clare County Council of its decision to grant planning permission for the new school building. This represents huge progress with the building project and allows the Board of Management to move forward with its expectation to commence construction later in the 2015/ 16 school year. The Department has been notified of this news and, once DES officials have fully reviewed the most recent documentation submitted by the Design Team, the school will be authorised to progress to Stage 2B. This involves finalising the tender documentation which will be required before the successful building contractor can be appointed and construction begins. A planning application is to be lodged to the Clare County Council before the end of this month. 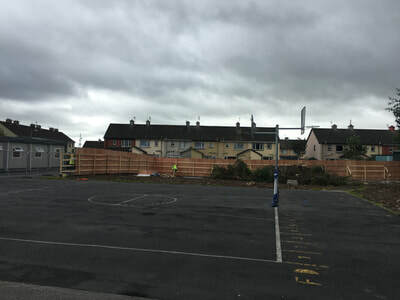 This is a significant step forward in the project and follows the Stage 2A meeting in Tullamore earlier this week between school representatives and officials from Department’s Building Unit. A public meeting was held on Thursday 11th December in the school hall. The meeting was opened by school Chairperson, Ms. Angie Toger. Mr. Lorenzo Cammoranesi, lead Architect, presented the details of the proposed building and the likely timeframe for completion. Mr. Gareth Heagney, school principal, informed those present of the background to the project, current accommodation difficulties at the school and the brief set by the DES in relation to the new school which will determine the allocation of internal and external spaces. Ms. Siobhán Mulcahy, Architect & member of the school's Building Committee, spoke about the DES school building programme and the works that have been carried out in recent years by the school to ensure the continued operation of the school. The images below have been developed by the Project Architect and demonstrate the proposed layout of the school on the site and the floor plan for the ground and first floors. Stage 1 of the Architectural Planning process is now complete and work is underway to complete the work involved at Stage 2a without delay.